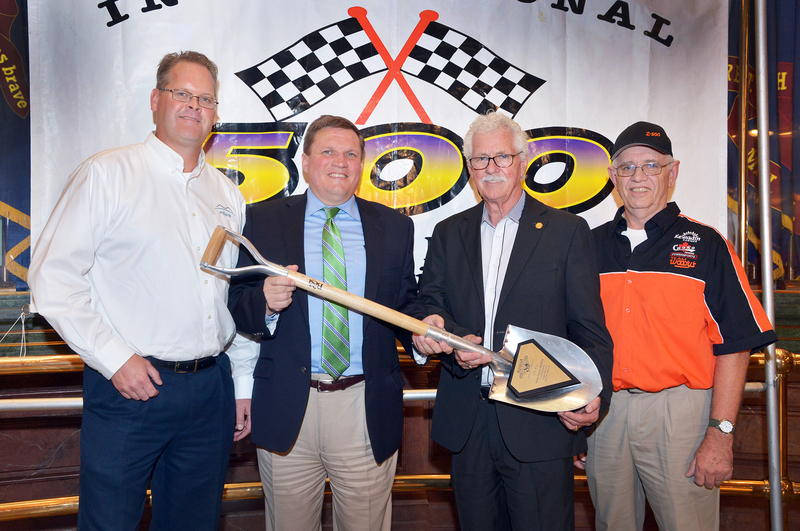 LANSING, Mich. — State Sen. Wayne Schmidt, R-Traverse City, was presented with a shovel used during a ceremonial groundbreaking of a new, state-of-the-art, multi-purpose building project at the site of the I-500 snowmobile race. Organizers of the Sault Ste. Marie-based race held the ceremony in the rotunda of the state Capitol on Thursday to celebrate the groundbreaking, which was held in August. Each year the I-500 attracts thousands of attendees and millions of dollars to the community, and the new building will feature VIP rooms and a kitchen area to feed the hundreds of volunteers who work to make the race a success. The project, which received a $250,000 grant from the state and additional local funding, is expected to be complete in time for next year’s 49th annual race. A print-quality version of this photograph is available by visiting the senator’s website at: SenatorWayneSchmidt.com/photowire.